Travel back in time with illusionist Michael Cantori for a lecture, demonstration, and performance that will leave you amazed, enlightened, and attempting to communicate with your ancestors long since departed. 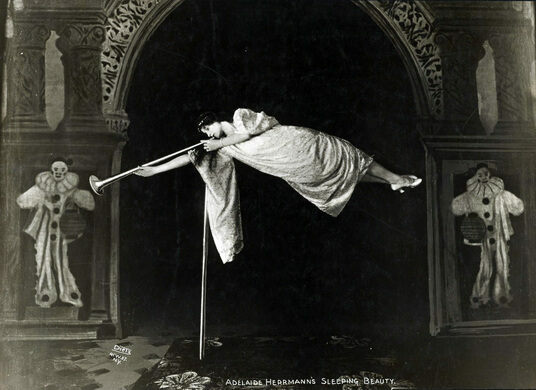 We will wind our way through tales of magic and spiritualism in the late 19th-century, long thought of as the "Golden Age of Magic." 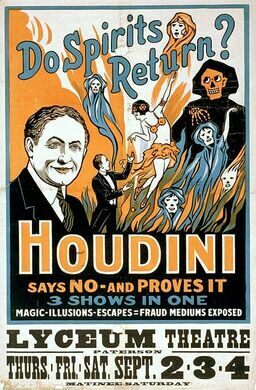 There will be talk of the Fox Sisters' mysterious rappings, Houdini's own complicated relationship with spiritualism, and how to experiment on your own with friends and family—departed or otherwise. Locally-raised, Cantori is a full-time illusionist who crafts and designs his own magical apparatuses that he also provides to some of the finest craftspeople in the world. He's written books and taught graduate level courses on the history of magic. As a performer, he's showcased his skills for senators, royalty, and rock stars. This event takes place at the Clara Barton Missing Soldiers Office, the one-time home and office of American Red Cross founder Clara Barton. Barton was herself a believer in spiritualism and often spoke of communicating with deceased loved ones while living in this boardinghouse on 7th Street. There are two performance times for this event, 5:00 pm & 6:30 pm. Your ticket grants you entry only to the performance time that you've selected. This event is interactive! 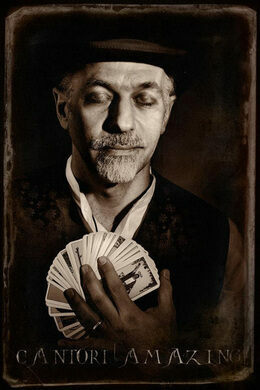 There will be chances for the audience to help Cantori demonstrate effects and tricks. This event is easily accessible via public transportation. It's a three-minute walk from the Archives/Navy Memorial station on Metro's yellow line and a nine-minute walk from Metro Center station on the red, orange, blue, and silver lines. For those choosing to drive, metered street parking is available but can be extremely difficult to find. If you plan to drive, please give yourself ample time to locate parking in the area around Capital One Arena.